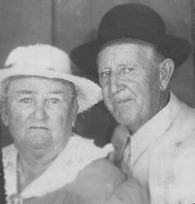 Bennet and Lillie Vanderheiden and their children in 1956. These are the four living daughters of Bennet and Lillie, as of 1998. 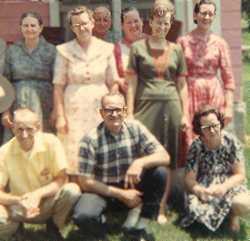 They include, left to right, Pauline Beck of California, the youngest daughter, Maedess Vanderheiden of Stilwell, OK, who married Virgil Vanderheiden, son of Jacob, Odess Brown of Stilwell, OK, and Nellie Denny of Bunch, OK, the oldest daughter.